Waiter's corkscrew with double hinged corkscrew. A customer favorite. Use it to open bottles professionally with incredible ease. 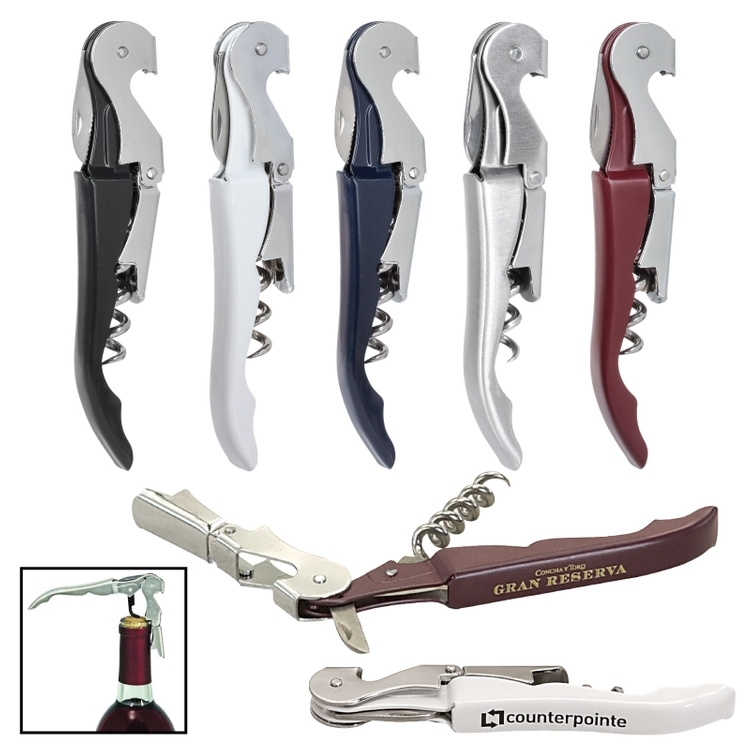 Features ergonomic grip, stainless steel serrated foil cutter blade, spiral corkscrew, metal handle, and bottle opener. Please inquire for laser engraving. Imprint Area: 1/4" x 1 5/8"